McKINLEYVILLE/ARCATA – On Thursday, May 2, approximately 10 p.m., the Humboldt County Sheriff’s Office was notified of a vehicle theft which had just occurred. Deputies responded to the victim’s residence in the 2100 block of Spruce Avenue, McKinleyville and met with the victim. The victim told the deputies her 1995 Blue Nissan Maxima had been stolen from her residence. Deputies and California Highway Patrol Officers searched the McKinleyville area for the vehicle. A citizen called the Sheriff’s Office and reported seeing the stolen vehicle in the Alliance Road area of Arcata. Deputies and CHP responded and located the vehicle next to an apartment complex. When deputies approached the vehicle they located an intoxicated female in the front passenger seat. 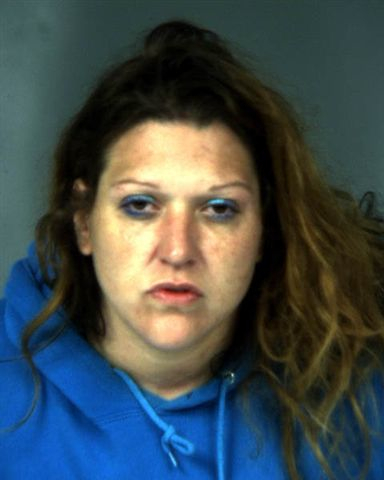 The female was identified as July Seipp, 35, from McKinleyville. She was arrested for possession of stolen property and for an outstanding arrest warrant for reckless driving. She was transported to the Humboldt County Correctional Facility where she was booked and released on her own recognizance. This entry was posted on Friday, May 3rd, 2013 at 11:57 am	and is filed under News. You can follow any responses to this entry through the RSS 2.0 feed.